Posted June 26th, 2013 by Yady Davila & filed under English - Products Information. Best nutrient and natural supplement for Cardio Vascular Health. It contains a special combination of Targeted Transfer Factor and over 26 vitamins, minerals and antioxidants for a healthy heart. Gives support to the blood pressure, cholesterol and homocysteine, and in the normal range. The cardiovascular system includes the heart, arteries and veins that supply oxygen to areas of the body such as the brain, heart and vital areas. In addition to risk factors that affect cardiovascular health, homocysteine levels are also important. Due to the significant need for cardio vascular care, 4Life developing a revolutionary product for heart health. 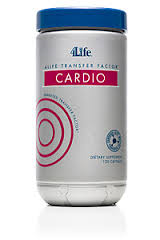 Transfer Factor Cardio provides full support for the cardio vascular system, plus a concentrated antioxidant and immune support collaborates with healthy cholesterol levels and blood vessel health, elements necessary for healthy heart function. 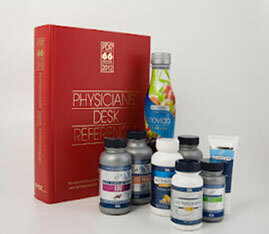 It is included and is approved by their results in the medical reference book PDR Physician’s desk reference for non prescription drugs, dietary supplements and herbs. For all its features, preventive dose, technical specifications and more information visit: www.4life.com Choose your country, language and look for products. Using our enroller/sponsor code 6730254 and you can benefit of all products at any time. (Customers do not need to buy a kit compass). to make money starting a part-time business, promoting 4Life worldwide and to participate of our life rewards compensation plan. As Distributor just buy a Leader or a diamond promotion pack. Use our enroller/sponsor code 6730254 and contact me to work as a team. I hope this information has been most helpful. Any questions please send me an e-mail to fceunited@gmail.com or leave me a comment to help you. Disclaimer: Materials on this site are protected by copyright and are property of FCEunited, 4life Research and INT4life. 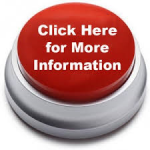 You may access the materials only for informative use as customer or independent 4life distributor. We are not responsible for the contents or reliability of any other websites to which we provide a link and do not necessarily endorse the views expressed within them. You acknowledge that is your responsibility to implement procedures and virus checks for the accuracy of data input and output. Business success depends only of the independent distributor commitment and its effort. All your personal information will be registered at 4life Research only. If you are under 18 please get parent permission before sign up. 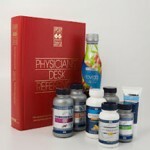 It is your responsibility to research about products information on 4life Research website prior to use.